Super midsize jets are perfect for travelers looking for luxury and space without the higher overhead costs that come along with heavy jet rentals. This class of private aircraft is ideal for trips longer than 6 hours for up to 10 passengers. Super midsize jets – sometimes known as a super mid jet — offer roomy cabins with comfortable working environments for business travelers. These aircraft are known for providing much better fuel efficiency and performance than larger private planes. The Bombardier Challenger 350 is built for superior comfort, performance and efficiency. 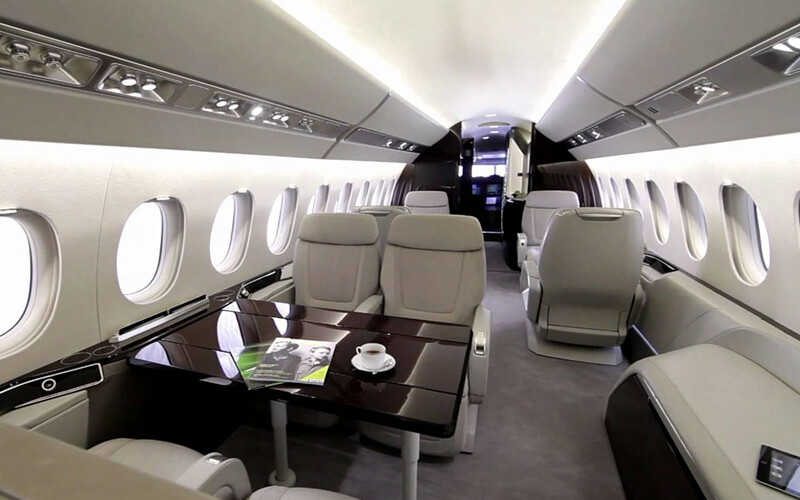 This super midsize jet offers one of the most spacious private jet cabin areas in its class. You can access more airports than any other jet in the super midsize category. 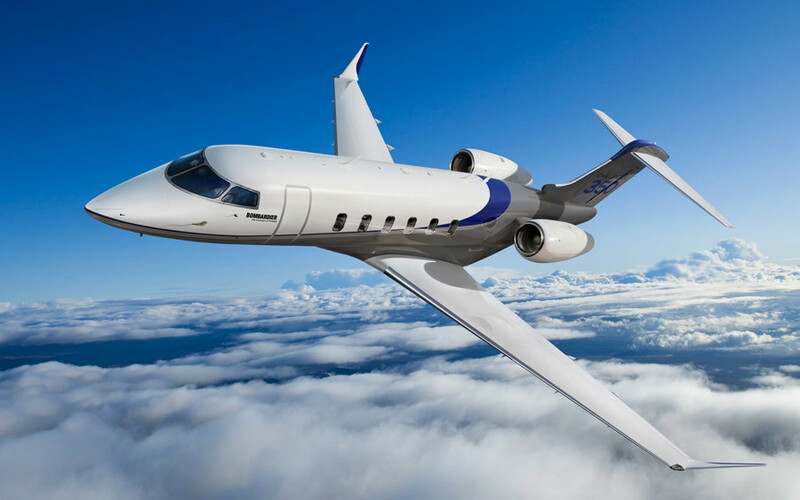 With a range of 3,200 nautical miles and maximum cruising speed of 458 knots, The Challenger 350 can fly up to 10 passengers from New York to London in a little over 6.5 hours. This is an excellent choice if you’re interested in renting a super midsize jet for the first time. The Embraer Legacy 650 is a revamped version of the Legacy 600 super midsize jet, offering added power, extra range and greater luxury than its predecessor. This private plane makes a great use of space, with 3 seating sections, an extensive galley, large climate controlled baggage area and tech savvy cockpit. 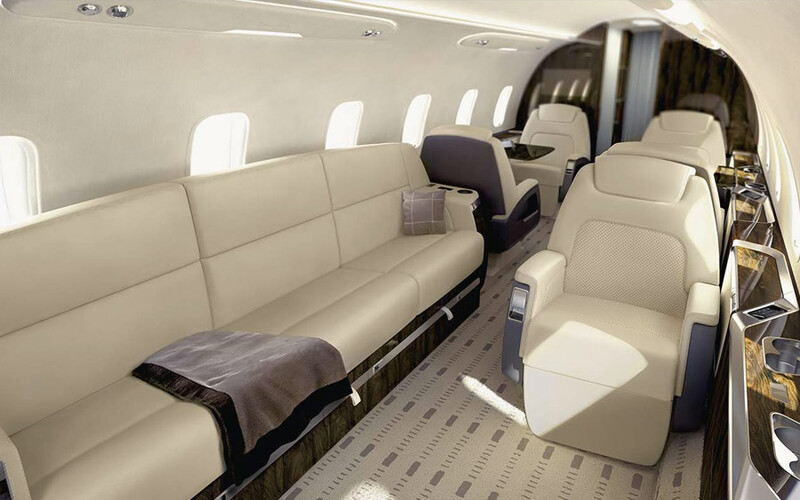 The Legacy 650 can comfortably seat up to 13 passengers in the 6-foot standup cabin. The legacy 650 delivers performance and quality above all else. The Dassault Falcon 5X is one of the biggest, most advanced Falcon’s to hit the market. The 6 ft, 6in cabin height is the tallest in private aviation- not to mention it is a much wider cabin than older generation models. If you’re concerned about moving space, then this super midsize jet may be a perfect fit for you. This spacious private jet also offers great performance, with the lowest fuel consumption in its class, a top speed of .90 Mach and range of 5,200 nautical miles. A super mid jet is a great choice for longer nonstop coast-to-coast or transcontinental trips, providing plenty of room to work or relax in luxury and comfort. 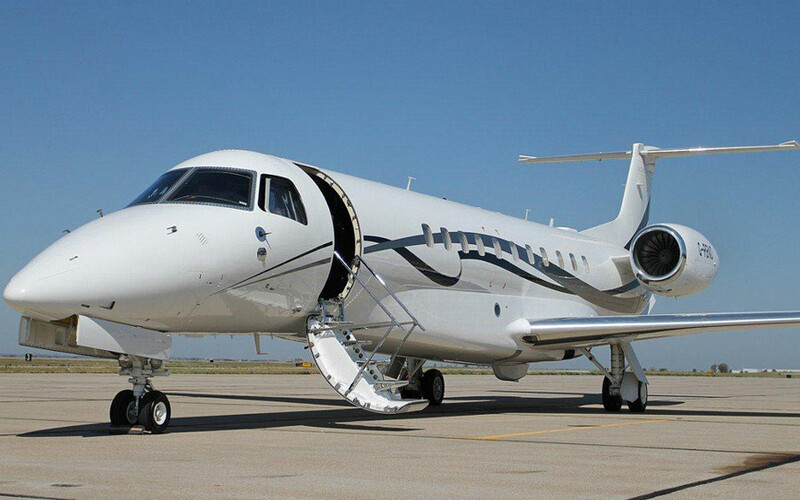 Super midsize jets from Charter Jet One offer many of the benefits of the large jets, at more competitive rates. When you charter a private jet at Charter Jet One, you’re upgrading your journey to luxury. Spacious cabins, full standing headroom, and great fuel efficiency make this a very popular private aircraft category. Contact us today to book your next charter jet on a private super midsize jet. Do you have your heart set on flying on super midsize jets? From ground transportation to aircraft landing, our industry-leading charter flight service is here to make your next trip a smooth experience. Contact our team for more information about booking a super midsize jet or to request a custom empty leg flight quote today!